This is the first comprehensive treatment of an important segment of the flora of California: native plants that have varying degrees of fidelity to serpentine rock and soil that make up over 1100 square miles in the Coast Ranges and the Sierra Nevada. Many of California's unique endemic plants are found nowhere else but on serpentine; over 200 species, subspecies, and varieties of native plants are restricted to some degree to serpentine. The author describes the geology, soils, and mineral nutrition of serpentines (low in normal essential nutrients, high in magnesium, iron, and toxic heavy metals, nickel, and chromium), the vegetation and flora that tolerate this inhospitable habitat, the fauna on serpentines, and management/conservation problems associated with serpentines. 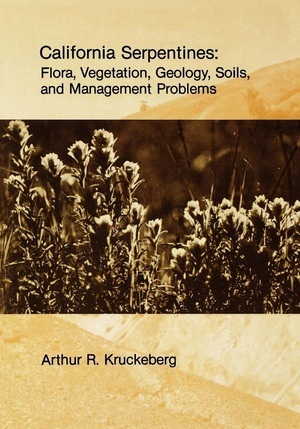 This is an essential guide to an important aspect of the flora of California. 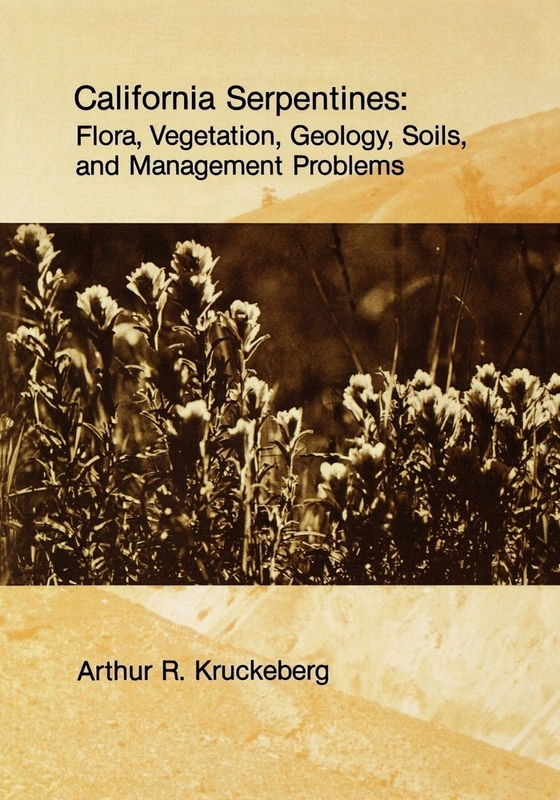 Arthur R. Krukeberg is Professor of Botany at the University of Washington.